We’re so proud to announce that Neshat Khan (GRS ’18) recently won the Aura Estrada fiction prize (Boston Review) for her story “The Neighbors”! The story was chosen by Alexander Chee, which he describes as “the story of two women figuring out the nature of a desire they don’t have words for, inventing a world between them before bringing it down.” Read the story here. 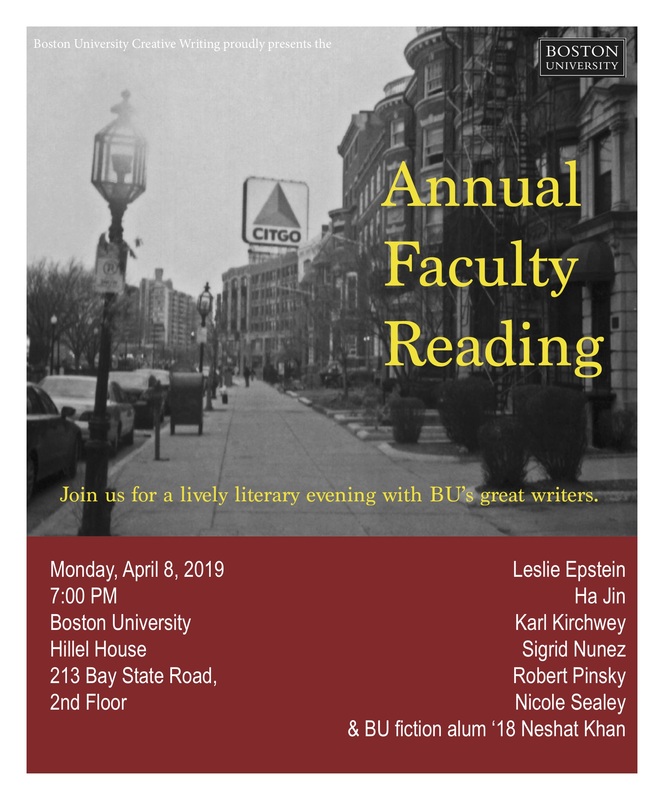 You can catch Neshat at the Annual Faculty Reading this Monday (4/8) at 7 pm at the BU Hillel House, where she will be the featured alumni reader. In the meantime, we had the chance to ask her some questions about her work, below. You tend to write very short stories. What draws you to that length? In undergrad I read Chekov’s “The Lady with the Little Dog” for the first time. I remember being amazed at how much is conveyed in so few pages. The opening paragraphs alone, though sparsely written, are filled with a wealth of details that inform us of who these characters are. Since then I have been drawn to stories that are very short in length. How did you get the idea for “The Neighbors”? “The Neighbors” was the last story I wrote for Leslie’s workshop. At the time I was reading Tagore, whose work I always return to. The widows in his tales, capable of great compassion and immense cruelty, were on my mind. You’re teaching at BU this semester. What’s a piece of writing advice that you think / hope is really helpful for students? I always tell my students to keep what is essential to the story and cut the rest. This, and that writing is mostly rewriting. Thanks, Neshat, and congratulations! We’re looking forward to hearing more from you at the Faculty Reading. Neshat Khan is a graduate of Boston University’s MFA program. She is the recipient of the Florence Engel Randall Graduate Award and a St. Botolph Club Emerging Artist Award. Her fiction has won Boston Review’s Aura Estrada Contest and is forthcoming in Indiana Review. She lives and teaches in New England.